Biscuit is ready to go camping! From blinking fireflies to croaking frogs, there are so many new sights and sounds when you sleep under the stars. But are those rain clouds in the sky? How will Biscuit go camping now? 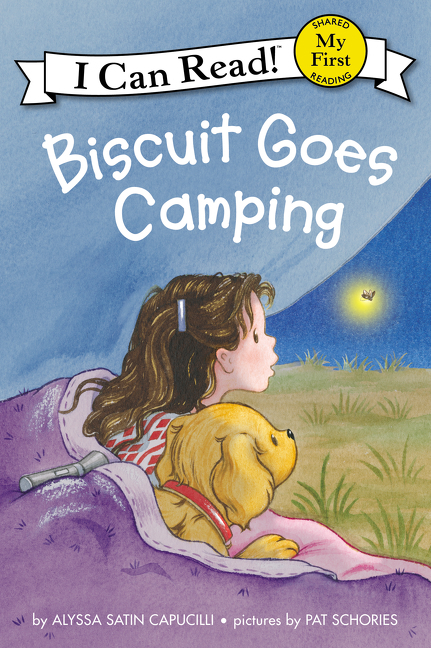 Alyssa Satin Capucilli and Pat Schories celebrate the magic of camping in the great outdoors—or wherever one can find a cozy spot—with Biscuit, everyone’s favorite playful puppy.